In March 2016, EPFL and the International Committee of the Red Cross (ICRC) signed a seminal agreement to establish the Humanitarian Tech Hub. The four-year program has opened many avenues of collaboration between the scientific and humanitarian fields. To further cement that relationship, ICRC has just announced the appointment of EPFL’s Edouard Bugnion to the ICRC Assembly. Professor Bugnion has worked as a faculty member in the School of Computer and Communication Sciences since 2012 and is currently Vice President for Information Systems. He presents the unique combination of a successful entrepreneur and a distinguished academician, and is expected to add new building blocks to the edifice of the Humanitarian Hub built over the last two years. Humanitarian crises of various genres grip more than 150 million people globally. Edouard Bugnion hopes to make a difference to their lives by fostering the work done by EPFL and ICRC under the collaborative framework. Both EPFL and ICRC share many common grounds, which include the use of Big Data, digitization, and computer technology. In fact, ICRC is a founding member of the Center for Digital Trust launched in December. 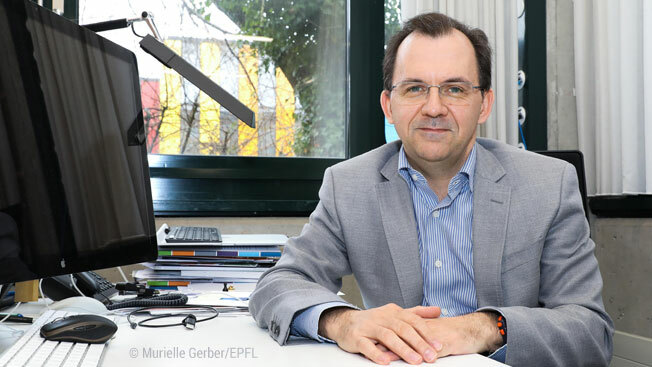 With his induction to the ICRC Assembly, Edouard Bugnion will bring to the table his expertise in digital technologies, which are critical in disseminating rehabilitative care and aid to prisoners and refugees. He will also be expected to safeguard ICRC’s digital infrastructure from military or spy attacks. With his vast experience in the IT industry, Prof. Bugnion will help ICRC adopt a strategy in the face of an intense debate that’s gathering momentum: Should existing legal frameworks (such as the Geneva Convention) be modified to meet the challenges of the digital age? The Assembly is the supreme governing body of the ICRC with 15-25 members of Swiss nationality. They manage all activities of the organization, formulate strategies and policies, and approve budgetary requirements.Edouard Bugnion, one of two new appointees to the Assembly, will assume his non-remunerative role from April 1.